Amnesty sees arms embargo on Israel and all Palestinian military groups as a means of preventing the violence escalating further. “Pending such an embargo, all states must immediately suspend all transfers of military equipment, assistance and munitions to the parties, which have failed to properly investigate violations committed in previous conflicts, or bring those responsible to justice,” Amnesty's official statement reads. 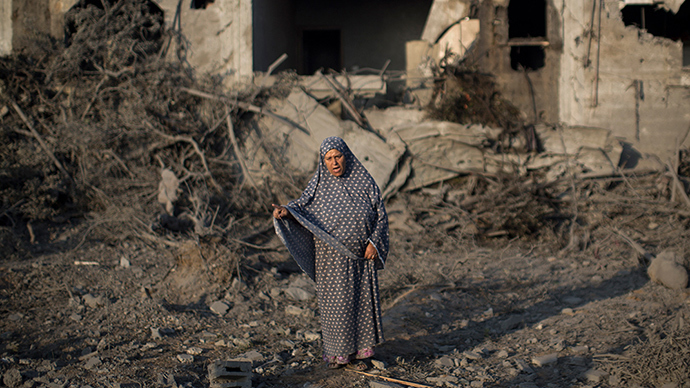 Strikes on homes, performed as part of Israel’s military operation, are a matter of particular concern to human rights groups. 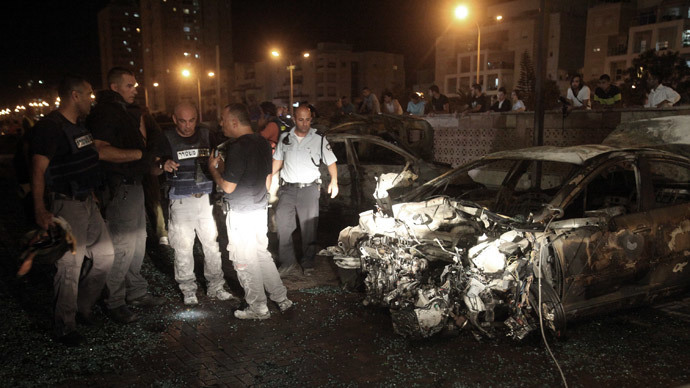 The UN High Commissioner for Human Rights, Navi Pillay, on Friday questioned the legality of such attacks. 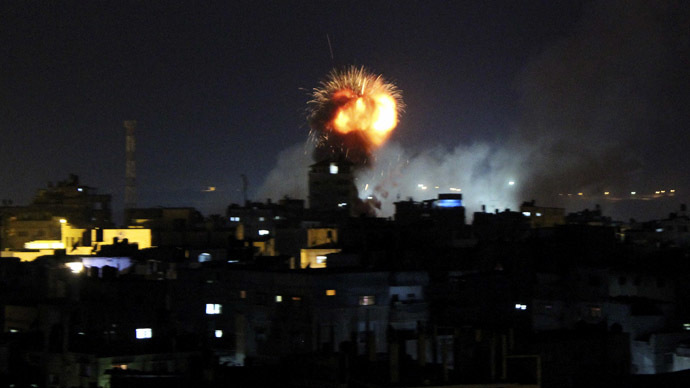 Israel has argued that all targets in the Gaza strip are either military facilities or are homes of Hamas militants. "In case of doubt, buildings ordinarily used for civilian purposes, such as homes, are presumed not to be legitimate military targets,” Libi Vice, spokeswoman for the Israel Defense Forces (IFD) told RT on Thursday. 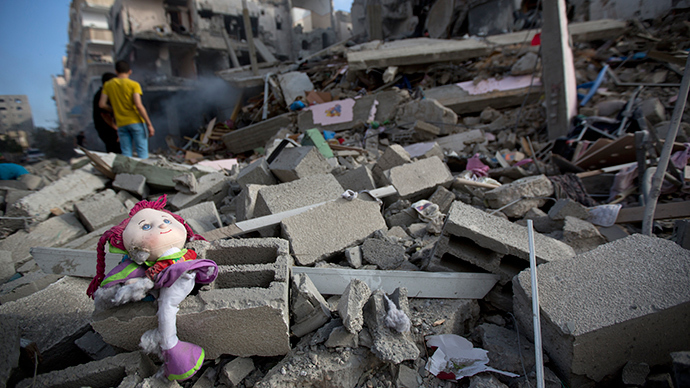 Human rights watchdogs want proof that 340 housing units, destroyed in Gaza, were actually used for military purposes. “Unless the Israeli authorities can provide specific information to show how a home is being used to make an effective contribution to military actions, deliberately attacking civilian homes constitutes a war crime and also amounts to collective punishment against the families,” said Amnesty's Luther. 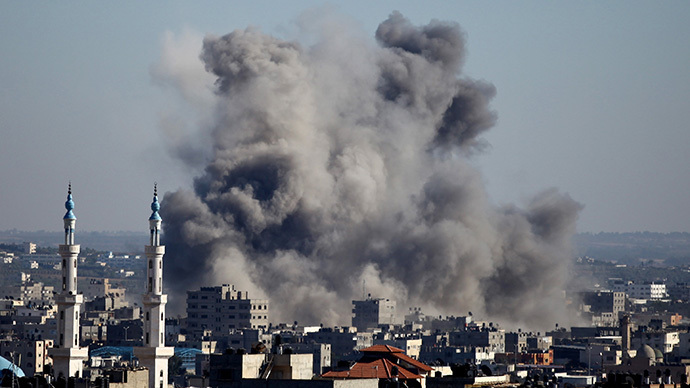 Amnesty International has also called on Israel and Egypt to “ensure that sufficient amounts of medical and humanitarian supplies are allowed into Gaza”. Healthcare services in the region have been on the brink of collapse due to shortages of supplies, the World Health Organization earlier warned. Friday saw thousands of activists in London and Oslo protesting against Israeli strikes in Gaza. Organizers of the massive rallies said Palestinians are facing “a horrific escalation of racism and violence” at the hands of the IDF.